Observation - User comments - UK and Ireland. 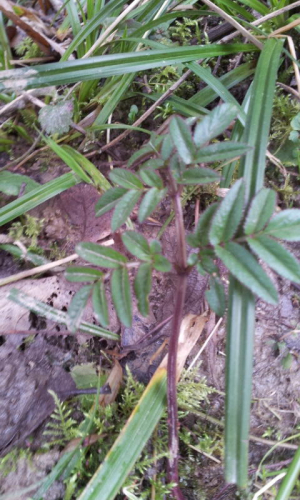 Description: 2 specimens of young plant with red stem; approx 5 cm tall; one stem only growing, no other stems visible. 2 specimens of young plant with red stem; approx 5 cm tall; one stem only growing, no other stems visible.